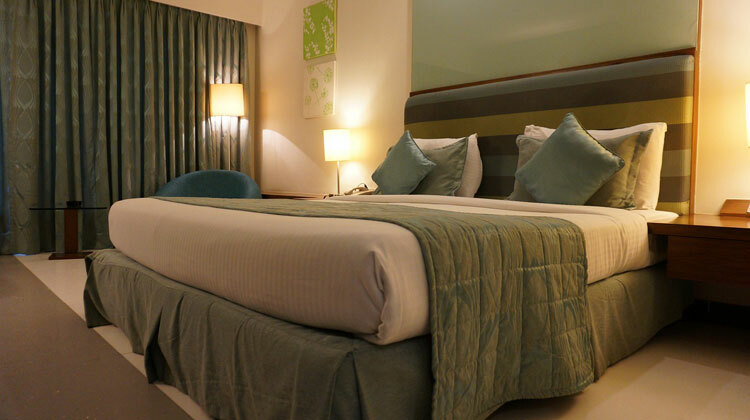 After a hectic day, you need a soothing bed for clearing your mind and relaxation without distractions. An all-white bedroom creates a tranquil environment to refresh you utmost. In fact, psychology says that- white color can calm us. Though white color can create a calming backdrop, you must pay attention to the design and other little details of the room. Moreover, a white bedroom is not only eye-catching but also less expensive than typical kid or cartoon theme. So, it will abstain you from spending much more when your child gets older. So, learning how to decorate a white bedroom is essential for creating style and serene which make you thrilled. 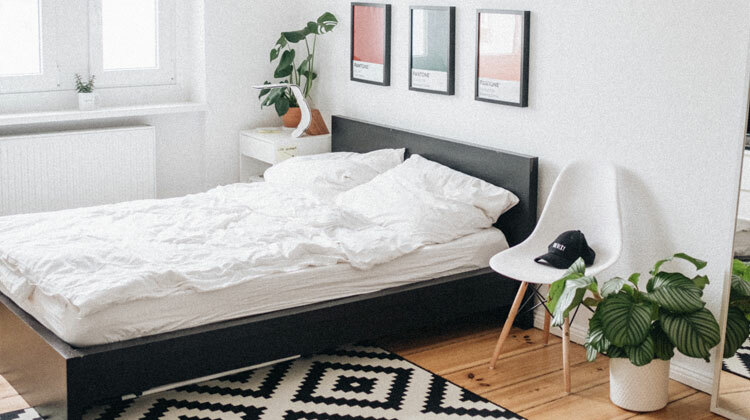 Here, you’ll get some spanking white bedroom ideas to make your imagination real. White color has a natural power to calm us. The elegant color resembles your choice as well as creates an excellent environment. The best white bedroom ideas you will get below are not too expensive but looks flourishing and vivid. 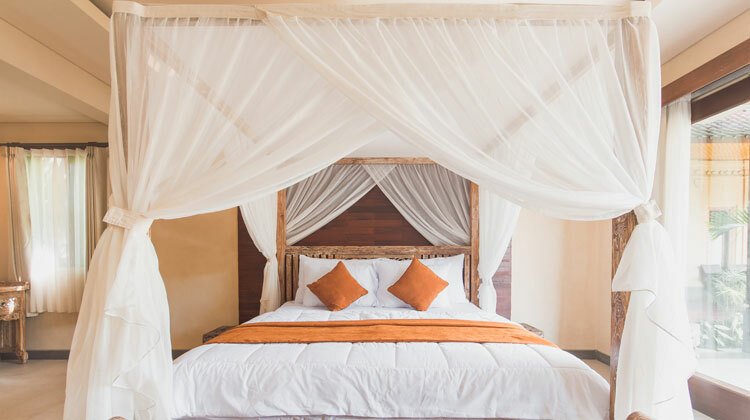 An elegant decoration of your bedroom can be the perfect getaway of love. You can create a luscious environment by mixing classic white color with the décor. A flower vessel, a large whiteboard at the back and the fluffy white bed can bring the sense of romance without spending a hand a leg. Moreover, the upholstered bed frame with a double bed along the duvet can make it comfortable and elegant. Do you want a vintage look for your bedroom? You can bring the vintage look by adding dramatic accents without spending too many bucks. Even a chandelier, a sheer lamp or an elegant crystal can create a romantic environment if you can arrange them well. Though too many pieces of furniture aren’t required to make the romantic ambience, the vintage pieces generate the sense of romance and drama. Also, you can use some silver pieces or antique brushed metal in the all-white bedroom which can bring your nostalgia. 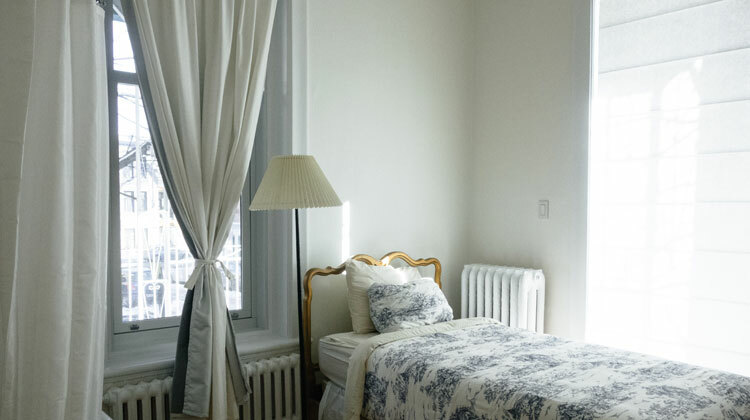 If you have a small room to live at, you can make it look visually expand by using white color. So, you need at least a window to enter the natural light and air. The natural light makes the room airy and open which helps it looks spacious. Also, you can use the bed near to the window to bring texture to the small bedroom. Collecting the favorite items and a piece of art is an admirable inspiration for the personality. You can gather these items to decorate your bedroom. A large gray and white painting will be the perfect match for the white color of the wall. Moreover, you can add a brown wooden table beside your bed to keep a showpiece or a table clock. Even, you can add a set of the sofa in the room which you can use to rest a while. An artist’s palette is a dream for many a man. If you have any interest in creating an artist’s palette in your room, you can quickly turn your room into it. So, use a large piece of artwork on the wall to inspire the color accents of the white bedroom. The painting above the bed can jazz up the neutral furniture as well as add crisp to the white walls. 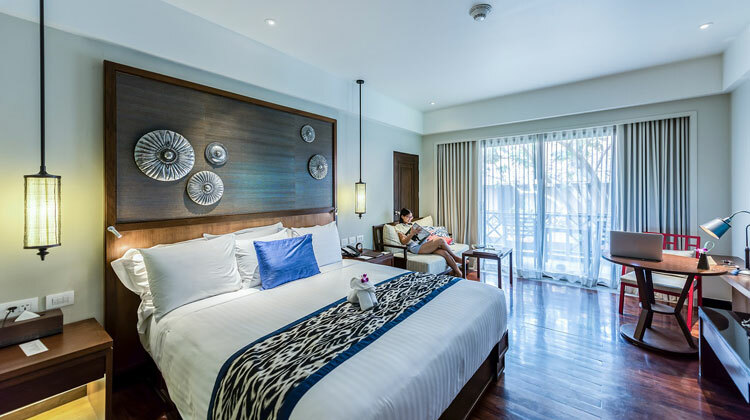 Furthermore, the combination of blue, white pillow along with the white bed cover enhances the sense of sensibility. The gorgeous blue and dark silver chandelier hangs make a simple but impressive environment in an all-white room. Without adding different pieces of paintings or showpieces, you create a vintage feel in the room by adding a dramatic piece of the chandelier. The white curtain with the well-lighted room is a perfect example of creating an accent look without overpowering it. If you like to decorate your room elegant and style, some textures will help you a lot. A variety of textures, as well as patterns, will make the room inviting and cool to look. Also, you can feel adore of nature from the various natural textures and subtle wood tones. The white headboard adds the interest of white-painted walls. 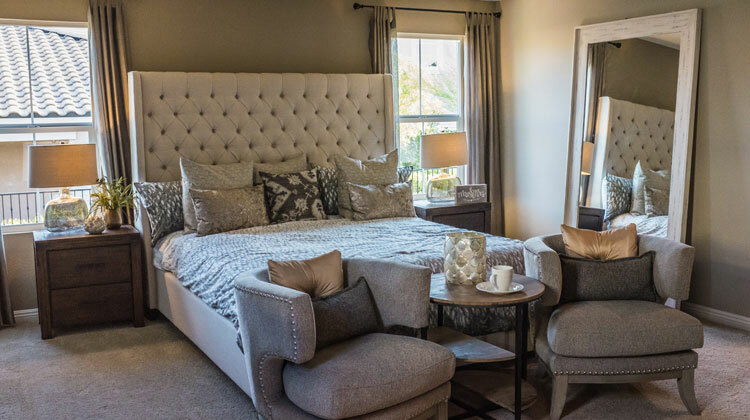 Lastly, the subtly patterned pillows will give you comfort as well as the bed a splash of personality. 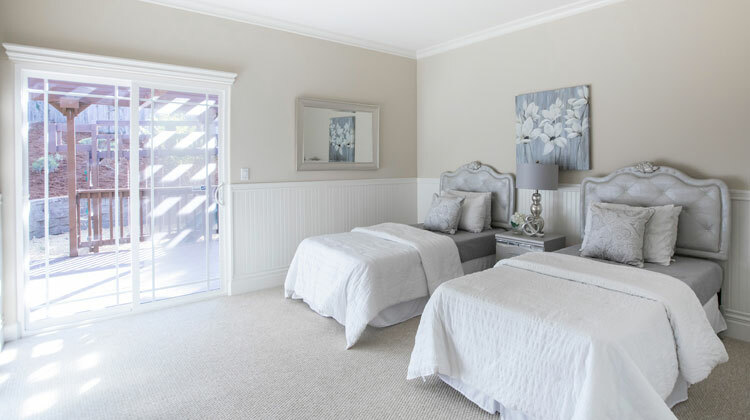 If you want cottage comfort within the all-white decorating scheme, the white mattress can bring the comfort a lot. You can use it to prevent being washed out and boring. A well-planned wall treatment will be decorated with different textures and cottage-inspired style. Also, the sleek banks of windows will surround the room. So, the room will be lighted naturally. Each bedroom doesn’t fit the pattern and color. So, you can add visual interest and subtle contrast by adding throw-pillows on to the bed. The white net with painted headboard will add personality to the room. Also, the spacious window will help you a lot to get natural light all the year round. Moreover, the brown wooden bed frame will make you feel living in nature. 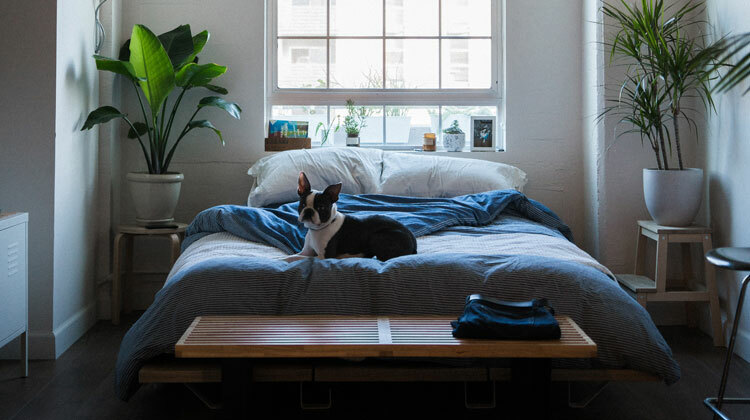 A calm and minimal bedroom is the perfect place to remove tiredness as well as to relax without any distractions. 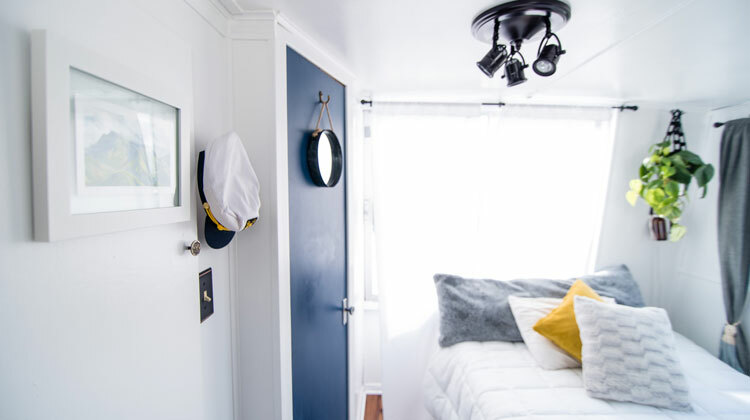 As it is scientifically proved that, white color helps to create a calm environment, this bedroom will snug checked all the needed requirements for the restful place. The multifaceted color of the room will draw your eyes without distracting from the feel. However, if the room seems small, you can make it spacious by applying the color concept. A perfect white is the white on white which creates an all-white environment. Monochromatic white color is quite a tricky with some smart moves of the decorations. 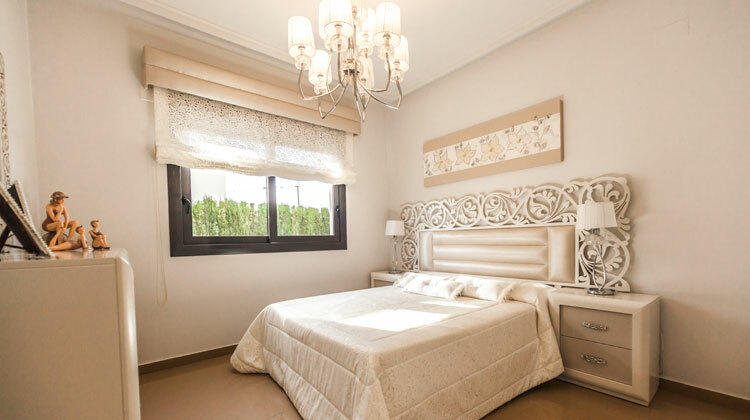 So, always emphasize the white walls of the master bedroom as well as other white bedrooms by adding white curtains. You can use the gray shed to add depth on the color. The decorative and patterned throw pillows will help to break up the stark look on the white walls. You can use some white-gray combination wall mats which help to reflect the light on the white walls. If you have to keep too many furniture and decorations in the bedroom, you have to be conscious and creative while decorating the room. So, a great variety of white is available on such situation of using furniture and decorations. Here, different shades of white look different with so many details. However, a warm off-white wall with wooden or wooden-colored floor looks subtle contrast. The brown accents, the wood side table, and the shag rug add texture and depth to the color scheme. The chocolate color with brown paint floor against the white ceiling looks it spacious and elegant. The surrounded brown decorations along with white bed inside the room makes it vintage. 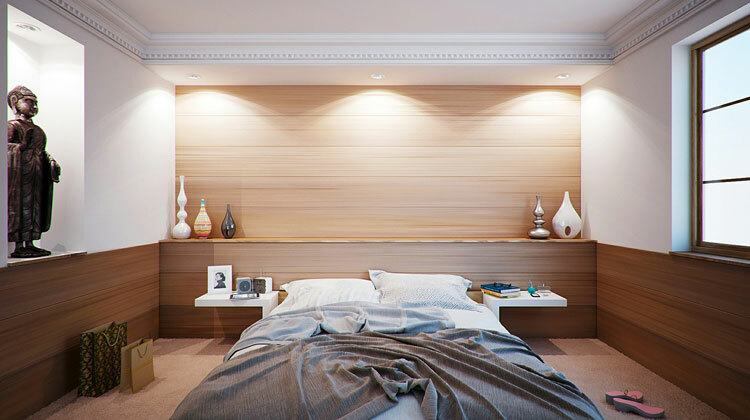 You can add a magnificent headboard with some white lights to feel cozy. 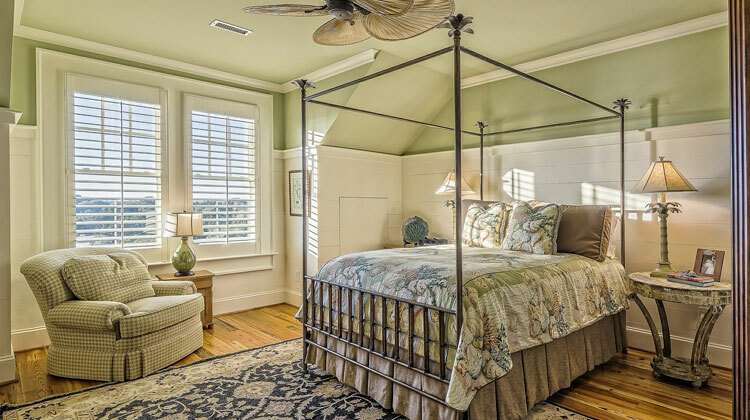 Moreover, the vintage bed frame and bedside table make the room spacious and cool. You can also use some antique details and decorations. A spacious room is favorable to all as you can decorate the room with your interest. The white ceiling with brown wall remains together in the room along with other textured bed throw and cabinet. Along with the wooden cabinet against the bed, the modern and gorgeous light in the middle of the room makes it truly unique and special. Also, a textured carpet on the floor makes you feel cozy while walking on the floor. In fact, a spacious and long room offers you several ways of entering light into the room. Some photographs and furniture can make your room subtle, simple and elegant. The white color of the wall and ceiling makes the room looks spacious. You can open the window to let the natural light enter into the room. Moreover, use some unique details and subtle decorations which help to remove the distractions. Also, some artistic elements on the wall against the bed can make the room fresh and clean. The bedside table along with a decorative reading table can add the character of the space. The natural wooden beams always make the room looks natural and dynamic. A white upholstered bed frame brings the rustic look of the room. You can also use an attractive framework to showcase the shape of the furniture. It creates a monochromatic space as well as the environment to feel monarch in the room. A hanging light from the ceiling makes a dreamy environment. You can also use a carpet to walk comfortably around the room. 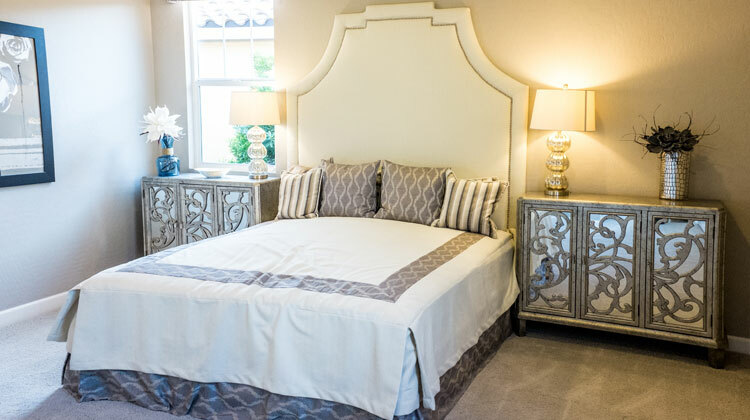 A contemporary look in a bedroom is always gorgeous and welcome. An all-white space is nothing but only the requirement for creating a contemporary look. Also, the all-white bedroom idea includes everything such as wall, ceiling, and floor along with the furniture of the room. You can use dark wood furniture and a charcoal bed skirt to create such a look. However, the deep shade on the wall resembles the white color while the natural light enters into the room. Moreover, some photographs will enhance the beauty of the room as well as your personality. Overpowering of anything is not always welcomed for simplicity and elegance. If you want a simple but gorgeous bedroom, the bedroom as mentioned above is a perfect choice for you. You can paint the wall with white color during floor with gray. It creates a cozy accent in the room for relaxation. 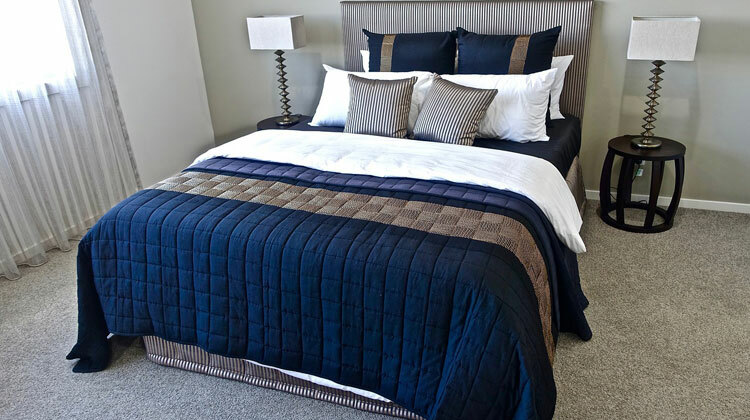 Moreover, the textured blue bed with comfortable duvet removes the tiredness without any distractions. However, don’t forget to allow the natural light to enter the room. If you want a modern theme in your room with elegance, the above theme is perfect for you. It has the super perfection of gold and white color mixture. You can use blocked color accents on the wall along with funky statues which makes the room a gorgeous color palette. Also, the elegant bedside lamp makes the classic environment with golden accents. 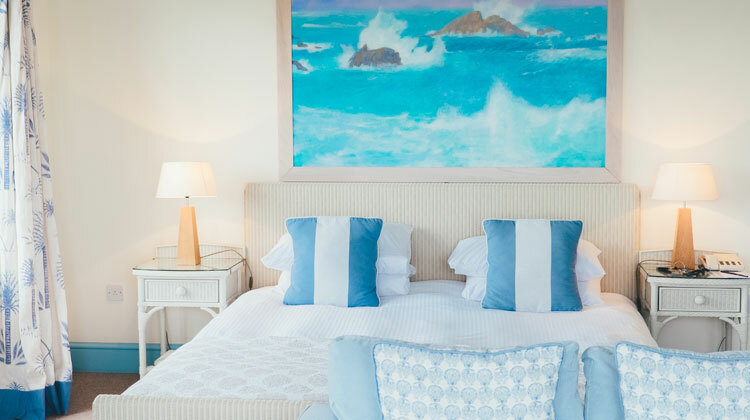 A natural sea-beach picture on the headboard creates a natural look of the room. White color has an exceptional feature of being turned into any color. You can change the color of the room by changing the color of the light. Hence, if you want a dreamy golden environment in the room, change the light. 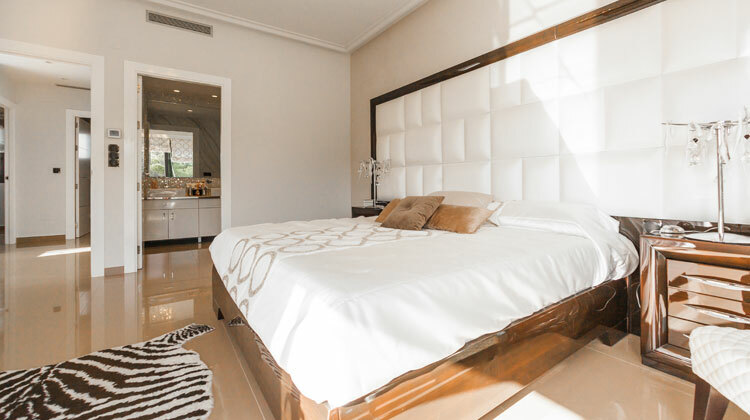 An all-white bedroom denotes everything off the room is white colored. It resembles the purity as well as the elegance of your personality. Also, it helps the room look spacious enough. You can add some lucrative details on the headboard which shows your choice. Moreover, you can add a natural flower vessel beside your bed to bring a natural environment in the room. White is the symbol of purity. Also, an all-white bedroom creates an environment of feeling cozy. It helps to remove tiredness without distractions. So, you can choose the styles as mentioned above for decorating your bedroom. Moreover, the quirky and exciting furniture with highlighted accents remains clean, crisp and lucid in an all-white room. 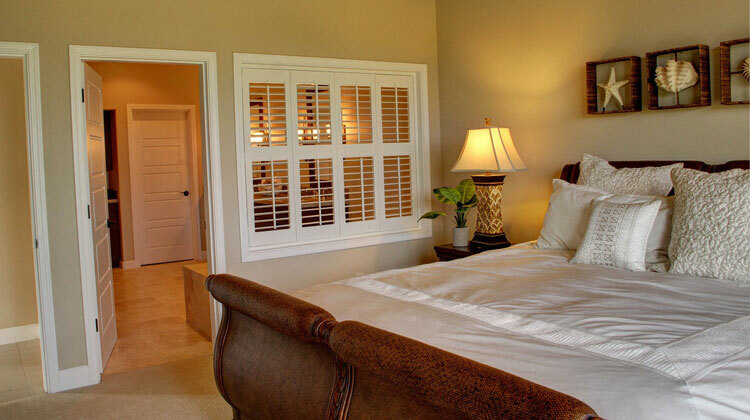 Also, you can quickly turn your bedroom classic, vintage or luxurious. 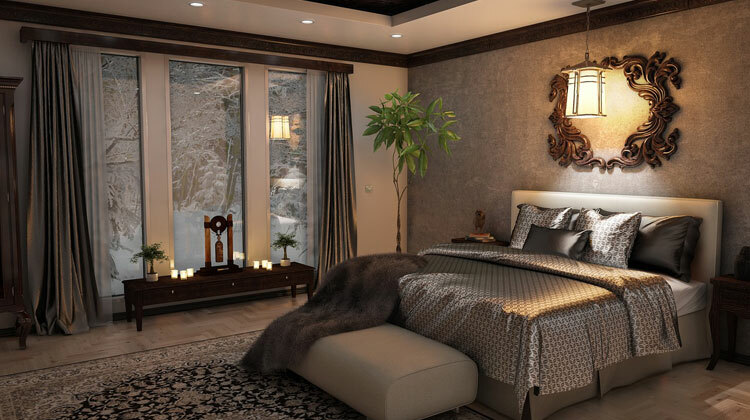 After all, the white bedroom offers you endless opportunities to decorate with various lights and furniture.